I have also written a guide for Bond of Sacrifice, a similar work focusing on officer casualties between August 1914 and June 1915 and offer a First World War Soldier Research Service. One of the most important sources to consult when researching a British or Commonwealth casualty of the First World War is De Ruvigny’s Roll of Honour, or to give the book its full title The Roll of Honour: A Biographical Record of all Members of His Majesty’s Naval and Military Forces who have Fallen in the War by The Marquis de Ruvigny. Due to the scale of the casualties, de Ruvigny wasn’t able to complete his work but still produced 5 volumes which covered over 25,000 casualties. This was an epic undertaking for the period and the volumes also include over 7,000 portraits. There was no charge to the family of those who died to appear in the books. The purpose of the Roll of Honour is to place on permanent record the name of every officer, non-commissioned officer and man of His Majesty’s Fores, on land or sea, who is killed in action, who dies of wounds, or whose death is otherwise resulting from the present war. The work is to be issued in a series of volumes, and the arrangement is alphabetical. The three following volumes, which are at present in course of completion or preparation, will, it is hoped, be issued this year. These are the second and third volumes for 1914-15, and the first volume for 1916. It is earnestly hoped that relatives of those deceased in the service will, by furnishing particulars, co-operate in carrying out what is, even with the official facilities which are being given, an exceedingly difficult task. De Ruvigny’s Roll of Honour has been digitized by both Ancestry and FindmyPast and if you already have a subscription then I would recommend searching on these sites. The link below will take you to FindmyPast which has a free trial period. The Roll of Honour has also been reprinted by the Naval and Military Press. What Information does De Ruvigny’s Roll of Honour Contain? Biographical information, parents, children, where born etc. The casualties contained in the volumes usually run in chronological order, with volume 1 covering those killed from 1914 and the final volume in 1918. However, earlier casualties do appear in later volumes so make sure you check those as well. De Ruvigny’s Roll of Honour was organised alphabetically so they don’t take long to search. There are a lot of errors in Roll of Honour so you should always try to cross reference information if other sources are available. 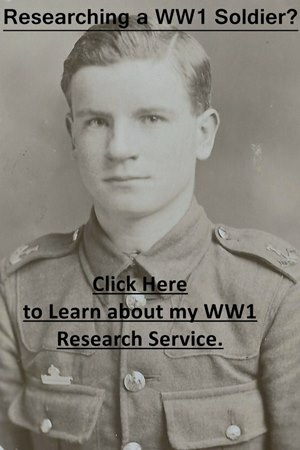 My guides to will help you: Researching Soldiers who Served in the British Army. Below are three examples which show the variety of information included. As you can see, the information regarding Robert Adam’s death is very important, as unless it was reported in a newspaper, you would likely have no other way of finding this out. Adams, Francis Henry, Private, No.10349, 1st Battn. Coldstream Guards, s. of Edwin Adams, of New Barn, Stanton Fitzwarren, Highworth, Wilts; reported missing between 29 Oct. and 2nd Nov. 1914, and now assumed to have been killed in action in France between these dates. Adams, Robert Job Rifleman, 17th Battn. (Poplar and Stepney Rifles) The London Regiment, s. of William George Adams, of 139, Green Street, Bethnal Green, China and Hardware Dealer, by his wife, Jane Sophia, dau. of Robert Orms; b. Bethnal Green, E., 19 Feb. 1895; edu. Bonner Street L.C.C. School, and became a clerk in the Wool Department of the Port of London Authority at the London Docks. 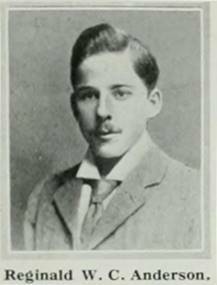 Having originally joined the Poplar and Stepney Rifles 14 April, 1910, he rejoined on 6 Aug. 1914, the day following the declaration of war, went to the Front with his regt., 17th County of London, and was killed in action at Le Philosophe, between 9 and 10 a.m. on the 11 June, 1915; umn. His Company officer (Capt. J. Evans) wrote: “He was on sentry duty, and with great keenness was trying to locate a sniper who had been seen to move earlier in the morning, unfortunately too much of his head showed above the parapet which resulted in him being struck by a bullet believed to be an explosive one. I do hope this will be of some consolation to you to know that he played a man’s game and died a man’s death in the face of the enemy. Death was instantaneous with no suffering whatever”. Adams was secretary of the Christian Endeavour Society of the Grove Road Baptist Chapel and was a good all-round athlete. He won his school prize for swimming at the age of eleven. Anderson, Reginald William Christie, Private, No. S4, 070893, Army Service Corps, s. of Robert Anderson, of Fraserburgh, co. Aberdeen, Solicitor; b. Fraserburgh, 9 Nov. 1875; educ. Blair Lodge School, Polmont: enlisted 18 March, 1915, and d. of pneumonia in the Connaught Hospital, Aldershot, while going through his course of training. He m. Alvescot, co. Oxford, 9 Nov. 1901, Edith Elizabeth (The Warren, Carterton, Clainfield, S.O. Oxon. ), only dau. of the late John Pearse, Fleet Engineer, R.N., and left two sons: Robert Pearse, b. 20 Feb. 1905, and John Christie, b. 3 Dec. 1908.